Famously described as 'an opera in all but name', it's conceived on a huge scale, with four soloists, large orchestra including an oversized bass drum, offstage brass fanfares. It's simply high drama from start to finish, an extraordinarily dramatic and powerful work. 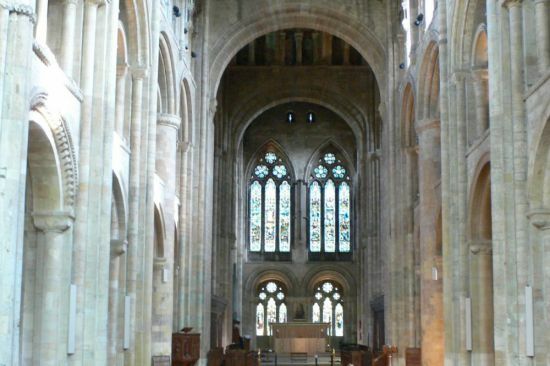 The first of our two performances takes place in Romsey Abbey on Saturday 11 November 2017 and is conducted by Jamie Hall, the conductor of Romsey Choral Society. The second takes place in Guildford Cathedral on Saturday 27th January, conducted by Waverley Singers' Director of Music, Richard Pearce. Both concerts feature soloists from the Josephine Baker Trust. If your are interested in joining the choir for this fantastic season and singing with us, please visit our JOIN US page. The link below will take you to Music In Romsey's online bookings page for the 11th November concert.